During the time at CIMBA they offer a few opportunities to learn how to make pizza in the nearby town. That evening was by far one of my favorites. During the course of the evening, the other students and I listened and watched with great interest as our learned pizza man taught us the ends and outs of how to make the perfect pizza. 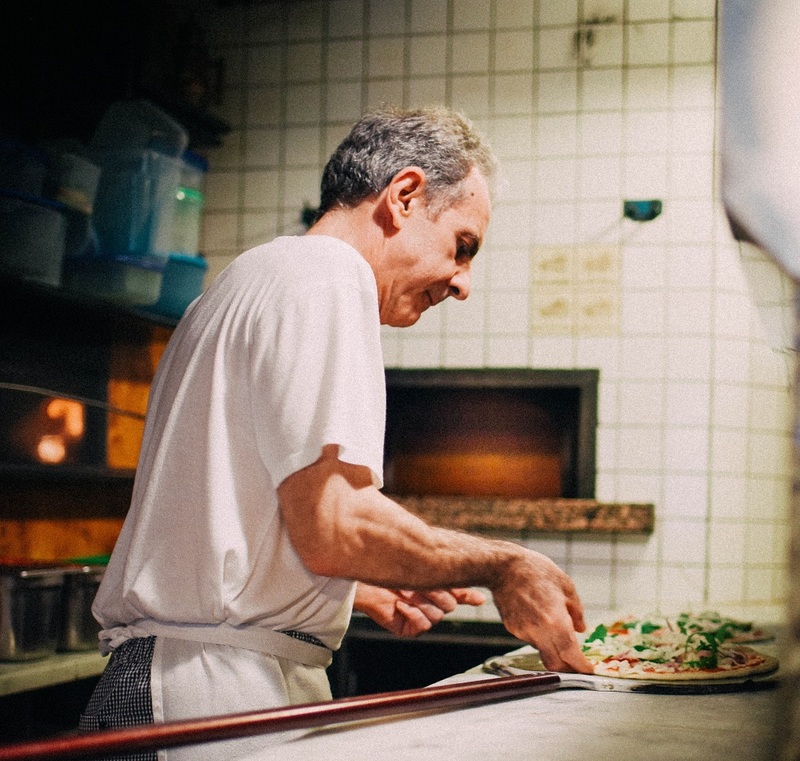 Saverio has been making pizzas for 23 years each day, clearly someone with great knowledge and dedication to the trade. The hour passed and we were able to pick up on some ways for us to make the perfect pizza. Saverio taught us the science behind it dealing with the weather and humidity, how the oven needs to have a base temperature of 300 degrees to cook the pizza, and how flavors mix. I was most intrigued by the speed at which the pizza cook. Since the oven is so hot (it’s is headed by wood) it only takes 3 minutes for it to cook. For a well-mastered pizza maker, its only takes about 5 minutes from start to finish to cook a pizza. After we had finished the lesson all the students were able to make their own pizza right there in the restaurant! I would love to report that I was a pro and made my pizza in 5 minutes but it took some time. My hands were not accustomed to spinning out the dough to make the proper size. Additionally, I took forever to decided what I actually wanted on my pizza. The options were endless and so very fresh. Ultimately, I opened to just load my pizza up. Pepperoni, grilled zucchini, tomatoes, cheese, pesto, arugulas, mozzarella balls. I am sure I have forgotten some toppings too. Three minutes later my pizza was pulled out of the oven and smelled scrumptious and indeed, it tasted that way too. We sat talking, discussing the pizza and Saverio wisdom about pizza. Afterwards, my friends and I walked down the block to the square to café central and grabbed some gelato. It’s always a good time is Asolo!